At the heart of Young Living Essential Oil's mission is a responsibility to inspire change. We honor our stewardship to champion nature’s living energy—essential oils—by fostering a community of healing and discovery, while inspiring individuals to wellness, purpose, and abundance. 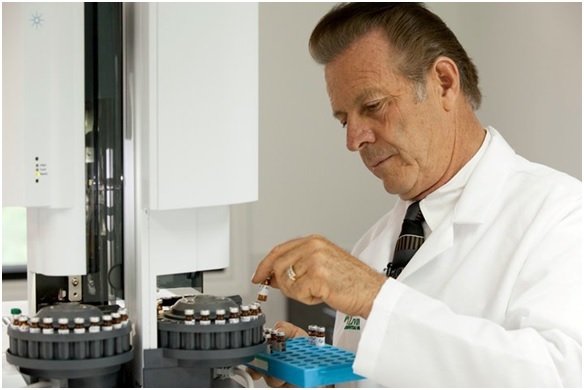 D. Gary Young’s commitment to understanding the remarkable therapeutic power of plants has resulted in the world’s largest line of essential oils and blends. Gary has traveled the globe discovering how to best support both physical health and emotional wellness. His discoveries have helped hundreds of thousands of people experience the benefits of natural healing and have led to the creation of the world’s largest and foremost authority on essential oils sciences: Young Living Essential Oils. Gary Young established the term “therapeutic-grade,” now known as Young Living Therapeutic Grade™ (YLTG), as a guarantee that Young Living will only sell 100% pure, natural, uncut oils that maintain the vital therapeutic potency. Why are Young Living Essential Oils Unique? Many oils, touted as essential oils, are derived by harsh chemicals, diluted or copied in a lab. Cheap copies bring cheap results and have the potential to be toxic. Therefore, it is imperative to take great care in choosing high-quality essential oils. Most other essential oil companies are oil brokers. They buy their oils from other sources and are not able to oversee the entire production from seed to seal and they do not test every batch. Young Living believes that the entire process of obtaining oils must be carefully watched over from beginning to end, from planting the seed in the ground to sealing the oil in a bottle. 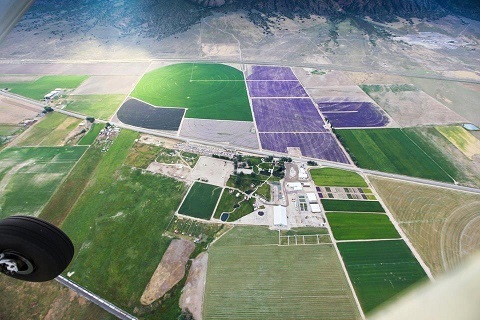 Young Living is the only company that grows and distills its own organic plants on farms located all over the world. They are grown in their natural climate under proper soil and weather conditions. They are harvested at exactly the right time and then carefully distilled. Every batch under goes stringent laboratory testing done in our own internal labs and by outside independent laboratories to verify the potency and chemical structure of our oils. Young Living’s seed to seal process ensures the highest quality essential oils that no other company can match and that is highly important when choosing essential oils. Young Living was the first to establish guidelines that define what a therapeutic grade essential oil is and was the first to create oils that meet or exceed any known medical standard for therapeutic grade. In fact The Center for Aromatherapy Research and Education will only use Young Living Oils. Young Living Therapeutic Grade is what is recognized by scientists and medical researchers. Young Living essential oils have been proven, time and time again, through scientific research and documentation that they are pure Therapeutic Grade and they work. The process Young Living uses when planting, cultivating, harvesting, and distilling a batch of oil is crucial to retaining its vital compounds. Without the exact blend of naturally-occurring plant chemicals, an essential oil can lose its beneficial properties and fail to produce the desired effect. Young Living Therapeutic Grade (YLTG) means that every essential oil Young Living distills or sources has the optimal naturally-occurring blend of constituents to maximize the desired effect. Young Living is able to make this assertion because of our strict cultivation process—illustrated by the Four Ps—that guarantees the optimal potency of every Young Living essential oil. Mothers Without Borders and many more. . .
Young Living Essential Oils continually seeks to partner with organizations dedicated to educating the public about the versatile uses and profound effects essential oils have on the mind and body.